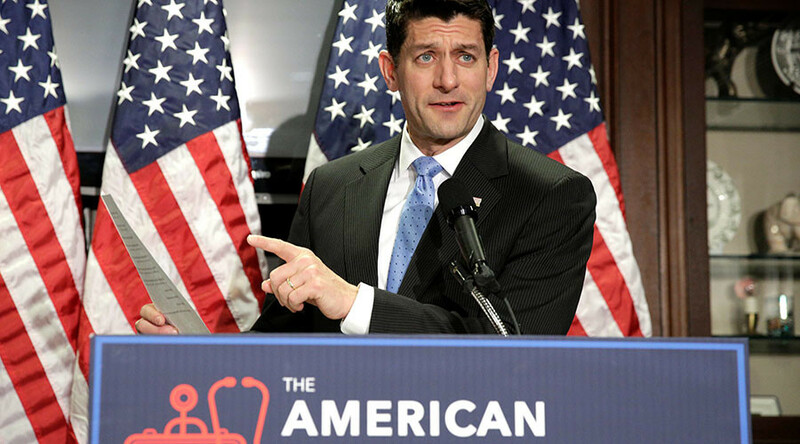 House Speaker Paul Ryan says the Republican Party is revamping its alternative plan to Obama’s health care law to include a work requirement for the Medicaid program for the poor and boost benefits to older Americans. Speaking on Fox News Sunday, Ryan said he was confident about bringing the American Health Care Act before the House of Representatives on Thursday and was addressing concerns raised by rank-and-file Republicans. The legislation would replace the Affordable Care Act, better known as Obamacare, introduced by the former president in 2010. Representative Mark Meadows (R-NC 11th District), told C-Span's Newsmakers that there were currently 40 Republican "no" votes in the House. Republicans need at least 19 of them to vote yes in order for the measure to pass. Ryan however, apparently, believes that Trump has what it takes to clinch the necessary votes, describing the president as “a great closer,” and praising him for negotiating changes to the health care plan. The House Budget Committee narrowly voted to move the proposal to the House floor on Thursday while recommending a series of changes. Among the House Budget Committee’s non-binding recommendations — changing the system of tax credits to ensure they are "afforded to the population that they are intended to serve,” and the addition of a requirement for "able-bodied" Medicaid participants to work in exchange for benefits. The suggestions which appear to have been taken on board by Ryan are reportedly favoured by Conservative Republicans concerned about the bill, but it remains to be seen if these additions will be enough to swing their votes. "We think we should be offering even more assistance than the bill currently does," for lower-income people age 50 to 64, Ryan told Fox News Sunday of the tax credits for health insurance that are proposed in the legislation. Ryan also said Republicans are working on changes that would allow federal block grants to states for Medicaid and adding a work requirement to the programme. Meanwhile, Senator Susan Collins (R-Maine) told Meet the Press that the bill is too harsh; claiming that 14 million people would lose health coverage under the House bill over the next year and 24 million over the next decade. She also voiced concerns on how the bill would hurt older Americans, and shift Medicaid costs to states.